The savings you will have on getting a new boiler and reducing your energy bill can be a factor in deciding on a new boiler. But be careful on the saving statistics as sometimes the real figures may be very different. Do your own research and look up information about replacement costs. Boilers last up to 15 years. If your boiler is already approaching that age, then start saving to get a new boiler. Annual servicing can also keep your boiler in good working condition for longer, by keeping the risk of malfunction low. Before you put money into buying a new boiler, think and plan ahead about the boiler you need. There are many boilers in the market and each one is best suited for different needs. After buying the boiler you need someone to install it. Either an engineer or a new jersey plumber can help you with getting that done. Contact a service company and book that appointment. Same location and same boiler type – The time needed to fit a boiler can vary depending on the complexity of installation. If the new boiler is of the same type or the location is the same, then the time required for installation may be less. However, if you have changed the type of boiler or the location then more time will be needed to install it. New Location – If you are moving your boiler to a new location like a different room, then more time is needed. The pipework needs to be laid out before the boiler can be installed. The further away from the original location, you take your boiler, the more time will be required to get the piping done. 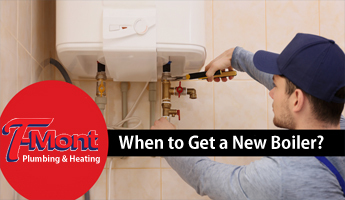 Upgrade – Changing the type of boiler that you have currently is an upgrade. You choose a better, newer model or a different kind of boiler for an upgrade. If there is an upgrade involved, then additional time will be needed.